I remember lots of things about my team. For example, without doing a Google search, I can rattle off close to a decade’s worth of Lottery Pick wash ups: guys like Todd Fuller, Chris Porter, Mike Dunleavy, Troy Murphy, Ike Diogu, Patrick O’ Bryant, Ekpe Udo; names that were supposed to signify a glorious shift in our team’s reputation from being perennial losers to playoff contenders. It never happened. I grew up literally watching those teams. I recall the years of Adonal Foyle, Vonteego Cummings, Bimbo Coles, Speedy Claxton. I remember Larry Hughes being our go-to scorer. Or, more recently, I can mope about that Monta Ellis trade (still hurts, I admit, even though things worked out for us). Throughout all this, my team was horrible, missing the playoffs every single year and never even finishing the season above .500. Television ads would promote the other team’s players (“come see Vince Carter” or “watch Kobe and Shaq in town”) because there was little else to look forward to. As a fan, I was raised with Sprewell’s proverbial hands wrapped around my neck for what felt like decades of pain. But this is my home, and this is my team, so I stayed loyal each season, bearing the weight of winless years from elementary school to college. In 2007, my team finally made a playoff appearance that I was old enough to watch. And damn, it was one to remember. It was the “We Believe” season. I still have my yellow shirt with names like Stephen Jackson and Al Harrington on it, with the faded NBA Playoffs logo from a game I attended. The one where J-Rich and the squad knocked #1-seeded Dallas out of the First Round. My second NBA playoff game was the following week when B-Diddy rocked Utah by nearly killing Andrei Kirilenko with a one-handed throw down dunk (sidenote: that game is still the loudest, most electrifying, impassioned sporting event I have ever attended). Back then, fans like me could attend a Warriors game for $25-50, no problem. Fast forward to the current Warriors. Championship contenders. Record shatterers. Dominant, fast, strong. Easy to love with a winning air and golden smiles. Nowadays, instead of Lakers jerseys surrounding me (because everyone back then loved the Lakeshow before they switched up), I see armies of Currys, Thompsons, Greens, and now, Durants. Herein does not lie the problem. In fact, I own a couple of these newer jerseys myself. I go to local bars and raise a beer to the Splash Brothers as they wreak havoc on opposing defenses. I clap. I cheer. I want to see my team win. My beef is not with the success of the team. Instead, my problem is with what the success of this team exemplifies about the Bay Area’s rapidly gentrifying landscape. Gentrification is a loaded term. It means different things to different folks. Here is my take on it: when the businesses, housing market, public infrastructure, and general atmosphere of a neighborhood begin to morph overnight in order to appeal to a younger, more affluent, and often times transplanted demographic, this is gentrification. When my mom—who has spent her entire adulthood in the Bay Area after immigrating from Mexico—can no longer find a reasonably priced studio apartment so has to move to Southern California, this is gentrification. When my high school students tell me about how their families and friends are getting evicted from their apartments in San Francisco in order to create space for incoming tenants, this is gentrification. It is a brutal process of uprooting often poor and voiceless segments of a suddenly desirable neighborhood, without asking questions or thinking about the legacy of that place or those people. So what does this have to do with Warriors basketball? On the surface, perhaps nothing. 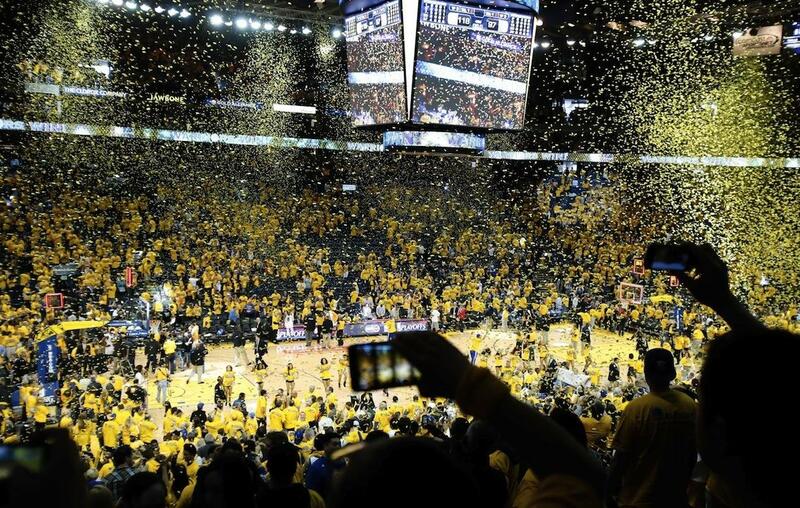 But consider the Warriors’ rise to the national spotlight and what it has meant for the fans and families in this region: overpriced tickets; overcrowded venues; more people hopping onto an overloaded bandwagon without really knowing much about the team. Okay. Fine. I can deal with it. It’s not their fault they didn’t decide to follow the Dubs when Erick Dampier was our franchise player. It’s no big deal if someone moves here from Chicago or Idaho or Ohio to work at Twitter or Teach For America and feels inclined to pick up a fresh Durant jersey for this season, right? They can go to the games in Oakland and clap when Curry makes a three-pointer, right? Actually, that’s where I start to push back. The reason the Bay Area has become aggressively unlivable in the past 5 years—check the housing prices and compare it to any other market in America, the price differentials might give you a heart attack—is because people keep moving here to partake in the benefits of this region without necessarily paying their dues or at the very least acknowledging what they are supplanting. The Bay is full of trendy locations, limitless culinary options, easy access to the outdoors, cultural diversity, moderate year-round weather, a strong counter-cultural scene, world-class professional opportunities—those of us who were raised here already know this, and also desire this lifestyle. Which millennial do you know who wouldn’t choose the Pacific coast of San Francisco over the cornfields surrounding Indianapolis? (No offense, Indy, I visited once and had a decent time). I mean, it’s at the point where Oakland—the once relegated and avoid-at-all-costs city by the Bay—has become a hotspot destination that is ridiculously competitive and expensive to live in. The tricky thing about gentrification is that it’s like a ripple in a lake: once an impact has been made, it will continue to vibrate across the surface, pushing the center further and further away until it potentially washes up on a dry shore. So who is making the impact here? What are the ripple effects? Who are the ones that now find themselves looking in from the outside? The Warriors are not a malicious organization. I don’t believe Steve Kerr is scheming a secret play to see how many local fans and families can get screened out of their seats at the arena. But, unintentionally, the Warriors are contributing to this splash (no pun intended) that is making it more hip and more likely for outsiders to come dive into what our region offers. Think about it. Kevin Durant shakes up the league by hopping over from Oklahoma City (another place I have been to and which offers its own brand of fun, but isn’t quite the cultural and financial magnet the Bay Area is ¬ not many places are). He plops down from the NBA superstar stratosphere, arrives to a hoard of clamoring fans decked out in his newly minted jersey (many fans who, by their own right, have also just plopped down here). Everyone predicts championship, pretends like our team is getting better, when in reality we lost a host of players like Andrew Bogut (rim protector), Harrison Barnes (inconsistent but explosive contributor), Marreese Speights (Mo Buckets! ), Leandro Barbosa (a solid veteran), Festus Ezeli (you can hate on him, but the dude showed up for us when others were injured and was a huge body off the bench), and Brandon Rush (show the man some respect, he endured a potentially career-ending knee injury with us just a few seasons ago). The bench is important to me as a fan. Yet we continue to overlook and underappreciate it. They’re that thankless part of the team that will get exposed with a quickness in a playoff series if they are not capable of performing. What happens when you take the star players away, who will still come to watch our team play? My point is that having a couple superstars is not what made this team who they are, and it’s not what the Bay Area is about. We drafted over many painful years, we cultivated from grassroots, we developed and built our community organically. Don’t get me wrong, I love KD—even bought a pair of his signature kicks years ago—but the moment we start shipping in high-powered names is the day that we are saying goodbye to many of the fans and families who worked so hard to get us where we are today with their undying support and sacrifice. 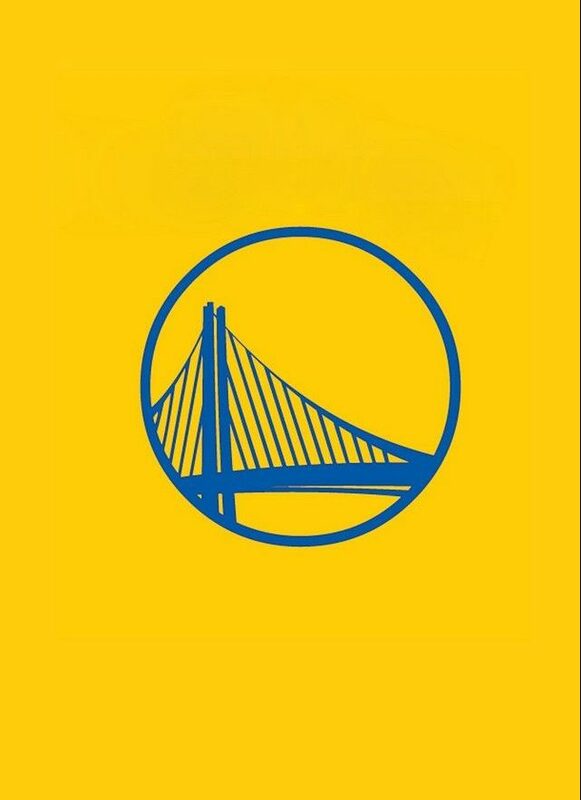 It saddens me to admit that the Warriors are no longer my team of the Bay, but a team of the market. My evidence for this is simple: the Warriors are building a new arena in San Francisco. I repeat: the “San Francisco” Warriors are leaving the East Bay, where they have played in the shadows of misery for decades, and are relocating to the shiny skyline on the other side of the Bay Bridge, which is clearly the richer and whiter side of this region. Who are they stealing the team away from and who are they giving it to? Ask yourself. If that’s not selling out, and if that doesn’t embody the gentrified spirit of the new Bay Area, then I don’t know what else to tell you. As it is, I haven’t been able to attend more than one game a season because ticket prices seem to average $95-$115 for nosebleeds on a Tuesday night vs. a lackluster team like Phoenix. For someone else that might not seem like much, but for someone who isn’t making $100,000+ a year or isn’t willing to spend that money, and who often takes cousins, siblings, uncles, and friends to the game, $95-$115 a pop has officially priced me—and many other locals—out of the arena. So what, San Francisco isn’t that far, right? As a millennial who lives in Hayward, who teaches high schoolers around the East and South Bay, and who attends graduate school in San Francisco, I can tell you that the length and cost of the public transit commute to the City is not going to be simple or as easy as one might make it seem. As it is, riding to Oracle is no problem: if you drive, you take the 880 and hop into the parking lot; if you take transit, ride the BART and make that walk across the platform. No issues, really. But San Francisco? Think of the spacing and access. You’re going to be looking at higher costs for more limited parking, and if you’re taking transit, you’re about to find out exactly how expensive and out-of-date our public transit networks are (I take it every day to SF, it costs $12 round trip on BART plus $5 for the bus once you get off the BART. So $17, or more, just to get to the game, which is ironically, what ticket prices used to cost about a decade ago.) This isn’t even considering crossing the Bay Bridge at rush hour—good luck with that. In any case, show me a working adult who would be excited to pay more and endure longer travel distances in order to watch their team play in a new arena. As an East Bay resident, and a South Bay product, I feel slighted that the Warriors would hop across the water to the City where everything already is. Having the Dubs in our backyard was one of the few reasons that forced people from that side to come this way. And in light of the recent 49ers move to Santa Clara, and Raiders plans to move to Las Vegas, it stings even more that local teams are taking the local fans for granted and simply going where they see more revenue. In what seems to be the norm around here, the landscape of the Bay Area has shifted to where the money is, and there is nothing the true fans and families can do to slow it down. While we cheer for Kevin Durant’s three pointers on a new home court during the playoffs, our moms will continue to get pushed out of affordable housing in the greater Bay Area. But that’s not as important as winning, is it? 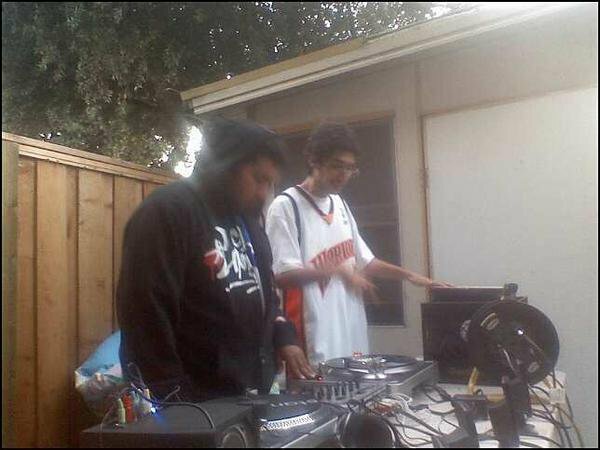 The author circa 2006-7, wearing Baron Davis’ #5 jersey. This entry was posted on Wednesday, April 19th, 2017 at 3:55 am	and posted in Essay, Sports Desk. You can follow any responses to this entry through the RSS 2.0 feed.